Who's really in charge in Oceano? It’s interesting what you learn when you begin to follow things more closely as I have the South San Luis Obispo County Sanitation District, and the Five Cities Fire Authority since the election. I used to subscribe to the theory of the Oceano Community Services District always being the so called underdog. Now I find myself questioning the priorities of Oceano district board for several reasons. When the Oceano district hired Paavo Ogren at $196,000 annual salary to oversee six employees, I bought the line they were selling; he was taking two positions in the organization and somehow this justified the pay for two people. After watching and attending meetings for a time, I strongly believe the tail is now wagging the dog. Currently, Ogren has dug in his heels, apparently with the board’s blessing, on a second $11,000 billing charge to the sanitation district, and the Oceano board is buying in on Paavo’s unreasonable demands. One look at Oceano’s proposed budget makes it easy to understand why. Without this additional $11,000 from the sanitation district, Oceano’s budget is underwater. Could Paavo’s upcoming $5,000 raise in July also be an issue? The sanitation district board approved and subsequently paid the first invoice less than two months ago. Upon receipt of another invoice so closely on the heels of the first, the two new sanitation district board members have merely asked for an accounting of the latest invoice. But, rather than substantiating the charges, Ogren has opted to send them a delinquency notice, and has stated that Oceano will no longer collect if the bill is not paid by July 1. Oceano contributes 17 percent of the sanitation district’s revenue, or approximately $500,000, Arroyo Grande 50 percent or $1.5 million, and Grover Beach 33 percent at approximately $1million. Perhaps it is time to lift the burden of sanitation district collections from Oceano and place them instead with the county tax collector. This would eliminate Paavo’s $22,000 invoice to the sanitation district, which seems extremely high when compared to the $12,000 annual invoice from Arroyo Grande. In another effort to generate revenue, Ogren has also asked the Oceano district board to request that the Five Cities Fire Authority go back in history and recalculate five years of the agencies contributions to see if any inequities exist. What will the Oceano district board do if Oceano is forced to return the $15,000 yearly rent they’ve been charging fire authority for the last five years to use the fire station that was built with fire funds? Oceano’s budget doesn’t indicate $75,000 is available to repay the fire authority. Currently, Oceano is the only entity charging the fire authority rent. In addition, Ogren appears to have stirred the water pot. The cities of Pismo Beach, Arroyo Grande and Grover Beach have been working in cooperation with Oceano as the Northern Cities Management Area, involved in the Santa Maria Valley groundwater litigation. In recent months, Arroyo Grande and Grover Beach have both severed ties with the water attorney that still represents Oceano. Arroyo Grande has now joined Pismo Beach, engaging their attorney specializing in water, to represent Arroyo Grande’s water interests. In the meantime, Ogren has applied for grants for projects the Oceano district could better afford for on their own if they weren’t paying so much for Ogren’s services. Ogren has convinced his board to “partner” with Pismo Beach on their recycled water project so Pismo Beach can access Oceano’s disadvantaged community status for a project that doesn’t benefit Oceano. The demographic makeup of Oceano is being used to help Pismo, while Oceano’s own water system is leaking as much as 134 acre feet per year. This expensive and valuable resource, State, Lopez and ground water leaks into the ground where it finds its way to Arroyo Grande Creek and out to the ocean. 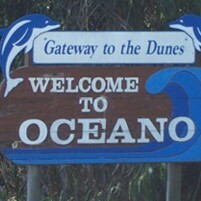 Oceano does not need more water, Oceano should better protect the water they already have. All the uncertainty Ogren has created and the Oceano district board members have allowed to take place is troubling at best. Until the Oceano district board acts in accordance with their fiduciary responsibilities, they will be subject to further scrutiny from their neighbors. Oceano’s financial decisions impact their neighbors who do business with them. The sanitation district board meets Wednesday, June 17, 6PM at the Arroyo Grande council chambers. Time for Supervisor Compton and her excellent staff to develop a strategic plan for Oceano. Good first step is more financial oversight. Next, redeploy more code enforcement officers to clean up and enforce building codes. Support creative incentives that will encourage investors and grants that will build proposed improvements for commercial gateway corridor. Last, request joint state audit committee to begin audit of the Oceano Community Services District management. You’re so right… it will be interesting to see what COLAB puts together for Lynn to pontificate. Maybe she will get a treat if she reads it correctly. The Oceano Community Services District (OCSD) is the Achilles’ Heel of the Arroyo Grande/Grover Beach/Oceano political troika. The administrative cooperatives shared by this troika involves 1) the Five Cities Fire Authority (FCFA), 2) the South San Luis Obispo County Sanitation District (SSLOCSD), 3) the loosely coupled issues of police ifrom three separate police administrations (AG police, Grover police, County Sherriff), 4) the school administration of the Lucia Mar Unified School District (LMUSD), 5) combined with the curious administration of Water resources among all political entities. This creates a complex if not an impossible political climate for the Oceano District Board (ODB). The multi grammatical use of acronyms to describe this mess speaks for itself and boggles the mind. All of this is in San Luis Obispo County including the independent entities of 6) the Nipomo Community Services District (NCSD), made up with its Olde Towne and the emerging Mesa home to three major golf courses. and 7) the classic beach City of Pismo Beach with its award-winning boardwalk, elegant vistas, and tourist beckoning pier. Poor little Oceano — with its historic shadow of Halcyon! It has no other identity than being a poor partner in this political complex. Is it any wonder the Oceano Board with its weird and costly administration is wandering seeking identity and honesty in managing itself? Oh Otis, you and your henhouse of frustrated hens just can’t stand it. You cannot stand to see Oceano pushing ahead in spite of all the crap you and your harem of pinchy faced women throw out there. You are all becoming more and more insignificant as your desperate antics are becoming even more comical. The Oceano Directors, lead by Mary Lucey, and Ogden are bankrupting the district and ratepayers. This will certainly impact other local cities, the county, fire department,sanitation district and bond ratings-costs. Residents continue to request help from the county,state audit committee, and grand jury. It is time for legal action and justice for the poor in Oceano. Three dislikes on my comment that was merely a history of the OCSD office complex. It was not an opinion, just history. Let’s get a grip! What does one except from Oceano when they vote Mary Lucey to be chair for the district. I have a hard time with someone who claims she has to smoke pot every 30 minutes, and allegedly has a pot farm where she grows the stuff. It is all legal because she has a medical license to smoke, but do you want some stoner deciding what is best for your town? And listen to her speak and she gets nasty, and mean, or she rambles again not a great quality for a leader.When the public is speaking she will just inject into the conversation if she dos not like what is being stated. The way they have meetings in Oceano is another hoot. Oh my Gosh no order at all, between Mary and Ms. White what a pair to draw to. So much for decorum with those 2 running any meeting. If you want to see dysfunction on a board, you need to go no further than Oceano. It is comedy capers for sure in that little town. If all you can get is the sludge on the bottom of the barrel to run your town you are in big trouble. Smoke another bowl full Mary and tell us what great ideas you have to get your town out of the financial mess they are in. Not even close, Julie. at the time that the OCSD facility was built the fire department consisted solely of volunteers, no one slept at the fire station. The office space and Board room was built specifically to be what they are … Offices and a Board meeting room. When the OCSD Fire department went to paid staff, a modular was purchased and the firefighters slept there. To the best of my recollection the only time (during the 11 years that I was there) that anyone slept on cots was when FEMA used the Board room as an emergency shelter after the 2005(?) earthquake. Mitch, I don’t know if you did not pay attention or what JULIE did not write that article, so that was one error on your part. And what do you think about Oceano charging FCFA rent on that building when it was not in the agreement? You build a fire house and plan for the future, but they never planned on fire fighters ever sleeping in the building, they planned to always use it as office and board room? And what about the kitchen and showers, were those put in for Board meetings? Come on Oceano has played hard and fast with the residents and it looks like they are being called out at long last to explain things. By explain I don’t mean, ” this is how we have always done it” we want a break down of how they are charging other cities and whether it is with a balanced hand. Well Mitch, the earthquake was in 2003, so our combined history’s perhaps are meshed in folklore. Since neither of us was there when the building was built; I call truce. If I’m wrong to suggest that the OCSD pay rent to FCFA, then so be it. But, I’m NOT wrong that FCFA shouldn’t be paying OCSD rent. FCFA shouldn’t be paying for utilities at AG and GB either. The JPA is clear the buildings belong to the agencies and so does their maintenance. Funny thing is, I can’t get an answer about the roof on the OCSD fire station. I’ve asked Paavo and he failed to answer. Montemurro got quotes to replace in in 2010-11 around $30,000. He moved funds that were intended for new carpet in the building to pay for it, but was then fired for paying himself sick leave and a salary at the same time. Later Geaslen threw a $300.00 patch at it and to my knowledge it’s still not been replaced. Geaslen did put $1,000.00 down on new carpet and to my knowledge that was a nonrefundable deposit. Then he got fired for “overpaying himself” to the tune of $45,000 he was forced to return to avoid charges being filed, but the OCSD ran up $28,000 in legal bills to unravel the morass. The worst of it may still be yet to come. The fleecing of the FCFA for rent and the SSLOCSD for billing can both be attributed to Geaslen. Proof again that Mr. Ogren and his puffed up salary need to go and Oceano needs to dissolve its community services district. How sad that some of the county’s poorest citizens are paying the highest amount (save SLO) for their highest administrator. I’m guessing that little Oceano has no means to pay for his pension either? Don’t worry about who will pay for his pension, if you are a taxpayer the answer is YOU will be paying it, for a long, long time. Mrs. Spenser makes a good point about the $15,000 annual rent the OCSD is charging the Fire Authority. Nowhere in the JPA does it say that rent should be charged, in fact the JPA specifically states that the member agencies will provide the buildings and maintain them (curiously AG & GB are passing the water, sewer and electric bills through to FCFA while OCSD is not). Clearly inequities abound. The first OCSD budget passed after the formation of the JPA (2010) did not include $15,000 rent revenue from FCFA, but when Geaslen came on (2011) he prepared a revised budget that did. Smells a lot like what he did to the San Dist as it related to their billing. Here’s the real rub. The Oceano Fire Station (that includes the OCSD office) was built to be a fire house, what is offices now was to have been bedrooms. There’s a full kitchen and showers in the restrooms. At one time, before the modular was put in the parking lot, firefighters slept on cots in the board room. Perhaps it is the OCSD who should be paying rent to FCFA for use of the office space. Good writing. Could have used the names of the lawyers which would be helpful. Good points, some supportive financial figures, questions into the politics, and then a readable conclusion. Nice. This piece, while gently worded, fits right in with empire-building extremists and/or incompetents in many parts of county wide “leadership”. App is gone, Hedges is gone, the Paso chief gone, Ray is gone, Steve G. is gone……but there is still SO much improvement work to be done.